The directors of Royal Bank of Scotland are threatening to resign if the government stops them paying bonuses of £1.5bn to staff in its investment arm. They sought legal advice after the chancellor said the government would have the right to veto bonus amounts. The bank's lawyers say the directors had a duty to make the firm, which is 70%-owned by the taxpayer, competitive and that may mean raising bonus levels. The Treasury said it would intervene if it was in the interest of taxpayers. City Minister Lord Myners, who has estimated that at least 5,000 bankers in the UK will earn more than £1m this year, told the BBC that bankers needed "to come back into the real world". He said the median wage in the UK was just over £20,000 a year, and yet some bankers expected as a matter of course to receive bonuses, in addition to their salaries, of millions of pounds. He also said banks needed to be mindful of the fact that much of the profit they were now making was due to "the benign conditions" brought about by the government pumping billions of pounds into the economy to stimulate demand. Business Secretary Lord Mandelson called for restraint from both RBS and other banks. Liberal Democrats Treasury spokesman Vince Cable said the government should "call the bluff" of the RBS directors and accept their resignations. "The government has to impose itself and must not be pushed around," he told the BBC. "As a major shareholder, UKFI [UK Financial Investments] needs to be satisfied that RBS's approach to remuneration is in keeping with the Financial Services Authority's code of practice," a Treasury spokesman said. UK Financial Investments is the body set up to manage the government's stakes in UK banks. The scene is therefore set for brinkmanship of a potentially devastating sort for both Royal Bank and the government. "We expect other institutional shareholders will be equally concerned to ensure remuneration practices do not pose a risk to the stability of the organisation," the Treasury added. Last month, Chancellor Alistair Darling announced that the Treasury, as the major shareholder in the bank, would have the "right to consent" to how much RBS pays in bonuses and how they are paid. BBC chief economics correspondent Hugh Pym said the stand-off went to the heart of the argument about what type of bank RBS is supposed to be following its government bail-out in the wake of the credit crunch. 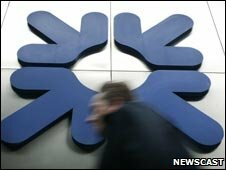 RBS is said to want to pay £2bn in bonuses across the group for its performance in 2009. "Our agreed business plan requires us to operate commercially in competitive markets and this plan underpins the prospects of recovering value for taxpayers and shareholders alike," the bank said. Last year, RBS paid £900m of bonuses in its investment arm and it wants to raise this amount to about £1.5bn. The RBS board feels it might need to pay its investment bankers higher bonuses this year because they need to be given incentives to stay with the company and generate more profits. If the bank's top talent leaves, the bank would be less profitable and the taxpayer might get a worse return on its investment, it argues. The investment banking division is expected to make £6bn in profits this year. It is understood the board feels it needs to act on behalf of all shareholders, not just the Treasury, despite its controlling stake. Regulations mean the entire RBS board would not quit at the same time. But the directors would be able to announce a collective intention to quit, allowing replacements to be found.